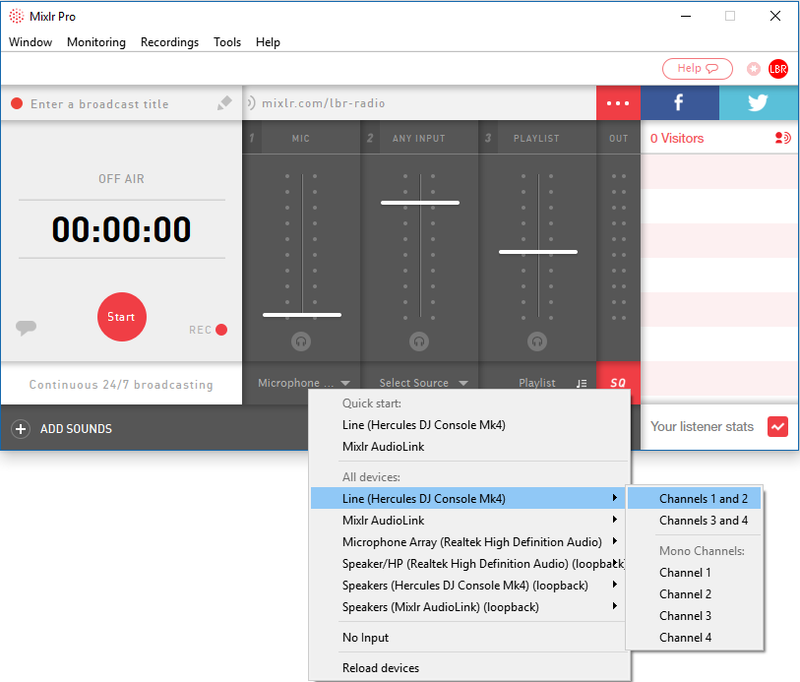 This article will show you how you can broadcast from Virtual DJ over Mixlr, using an external MIDI controller. In this walkthrough we're using a Hercules DJ Console MK 4 as our MIDI controller, but these steps can be used with any compatible controller. 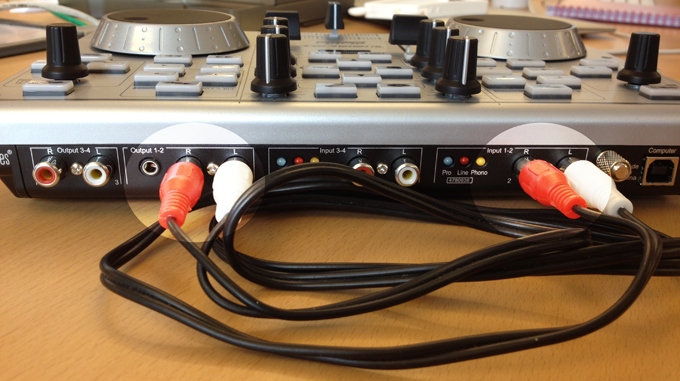 TIP: this article is about using a MIDI controller with an external audio app. If you want to route the audio directly from an external app and you're not using a MIDI controller see this article. Connect your controller to your machine via USB. TIP: you may want to check that you have the latest drivers for the device installed on your computer. Next, route 'Output 1-2' to 'Input 1-2' on the MIDI controller using a phono to phono cable, as in the image below. Open the Virtual DJ app on your machine and click the settings icon. This is towards the top right of the screen, circled in blue in the image below. This will open the Settings menu. Ensure that you are in the Audio Settings section via the tab on the left of the menu. Select SPEAKER + HEADPHONE as the output option. 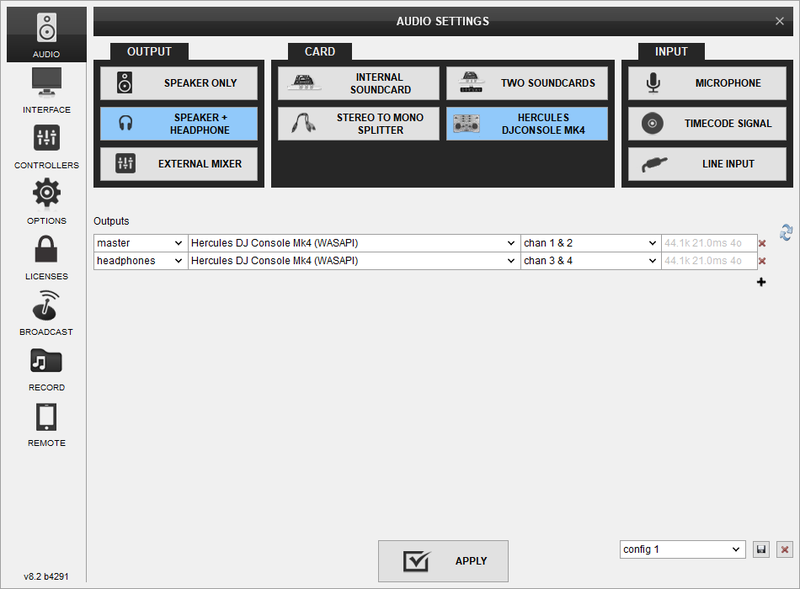 This will enable you to select a master and a headphones output. For the master output select the MIDI controller, then channels 1 & 2. For the headphones output select the MIDI controller, then channels 3 & 4. 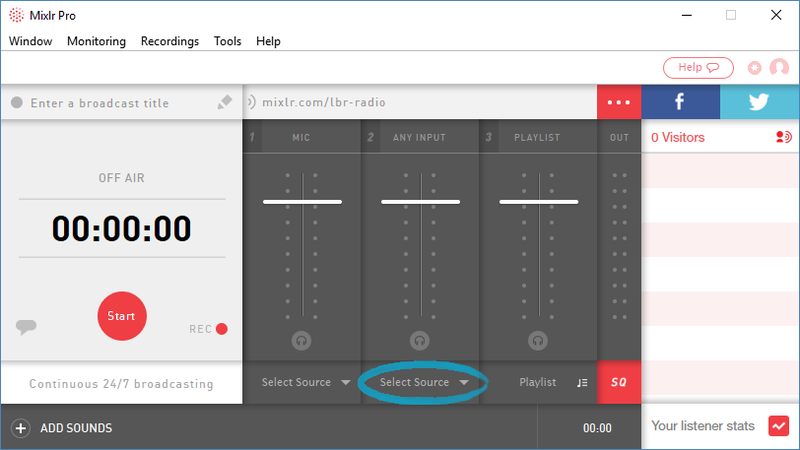 Open the Mixlr desktop app. Click the arrow by 'Select Source' for other channel 1 or channel 2 (the Mic and Any Input channels) to bring up the list of input options. Select your MIDI controller > Channels 1 and 2 from the list.